Arnold Palmer, The "King Of Golf", Died Yesterday At Age 87. I Was Blessed To Actually See Him Play, At The Masters & Other Tournaments. One Of My Favorite Golfers, I've Always Heard Awesome Stories About How Kind He Was To The Fans. God Bless You, Mr. Palmer; May You Rest In Peace. He was a true legend who left a long-lasting legacy and made a huge impact on golf. May He Rest In Peace. My wife and I both ordered an Arnold Palmer at dinner last night in his memory. A nice legacy to have so many speak his name for eternity when ordering a refreshing tea. While I had to explain to my wife who he was (she doesn't get any sports) she will always know now when ordering her favorite beverage. RIP Mr. Palmer. 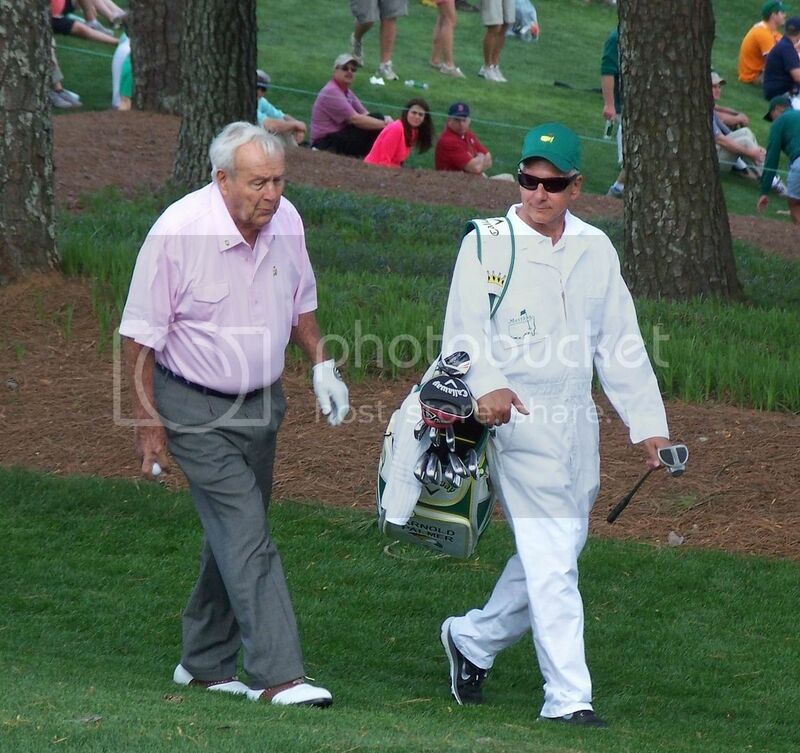 Masters Tournament 2014 practice round... the last time I saw Arnie in person. What a fine gentleman and ambassador for golf. He was a true giant.